Nestled between the pines of Kuitpo forest and Adelaide’s rolling hills is the quaint Coates Winery, home to some of the region’s best food and wine. Last Saturday they hosted their second Wine Lunch, collaborating with resident chef Rebecca Stubbs to provide their guests with a traditional Italian feast. Each dish was expertly crafted by Stubbs and paired with two wines, one of Coates’ own and another from regional Italy, showcasing some of the state’s finest produce. Upon arrival guests were presented with a glass of Marchese Antinori Cuvee Royale Brut, a blend of Chardonnay, Pinot Bianco and Pinot Nero. This bubbly fusion of sweet and fruity notes was a perfect accompaniment to the simple yet flavourful selection of canapes. The Cotoletta alla Milanese, a slow cooked veal cutlet with a crumbed coating was teamed with a creamy mayonnaise, creating a unique melt-in-your-mouth texture. 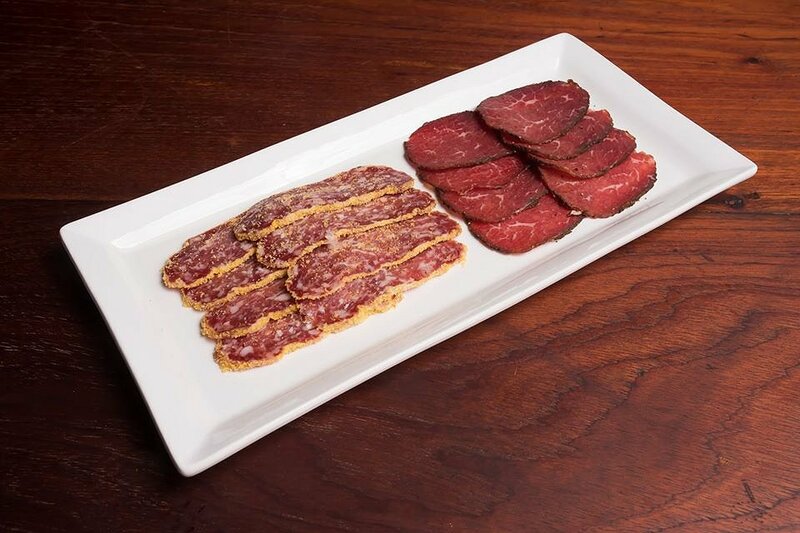 A fine selection of seasoned and cured meats from South Australia’s own Massi Corradini was served alongside fresh homemade ciabatta, providing a simple yet authentic flavour. 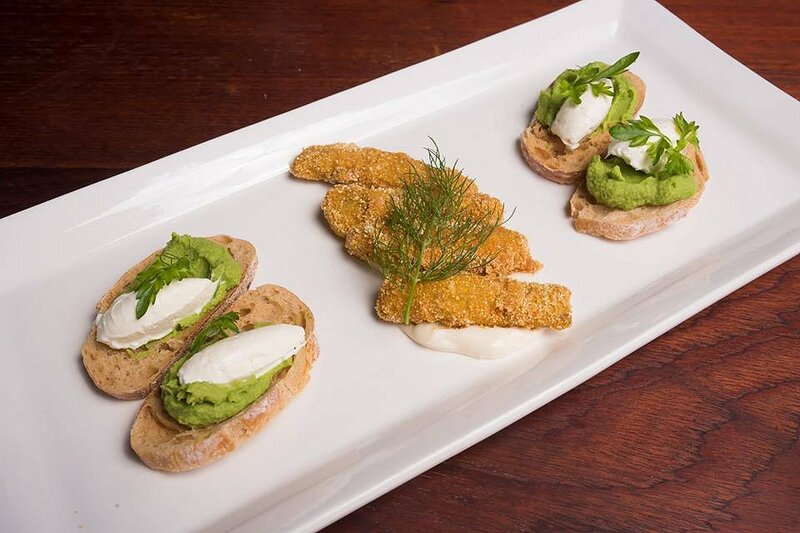 Lastly, the Crostini di Piselli e Feta was a decadent marriage of velvety pea puree and feta quenelles on crisp crostini bases – a bite-size slice of heaven. 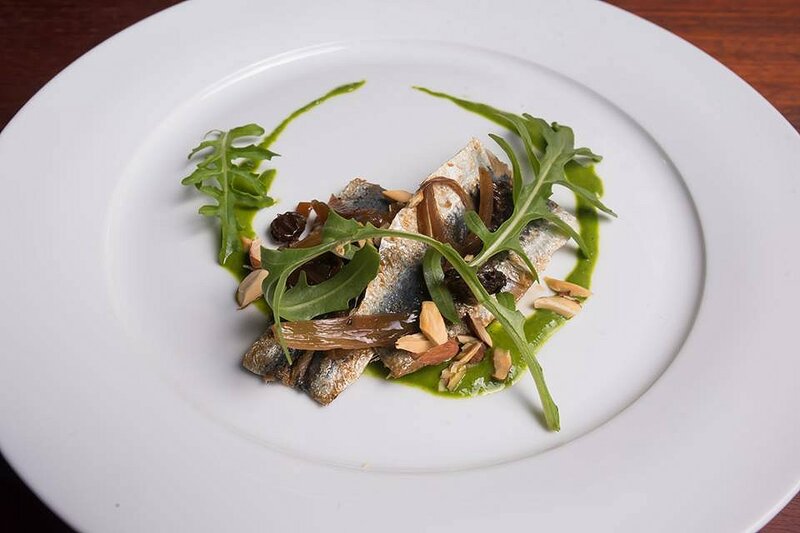 Locally sourced pan fried sardines served alongside caramelised onions, rocket, currents and toasted almonds made for a unique dish with an abundance of flavour. Homemade cider vinegar and a surprise sauce comprising of rocket, parsley, garlic and pepper enhanced these elements, while also creating textural diversity throughout the dish. The intensity of the sardines was well balanced by the sweetness of the currents and caramelised, a truly ideal marriage of flavours. Paired with two light-bodied white wines, Cantine Pra ‘Monte Grande’ and Coates La Petite Blanc, this harmony was further accentuated. From the Garganega grape, Monte Grande presents light, crisp and refreshing characteristics, the ideal accompaniment for this dish. Similarly, Coates Petite Blanc does well to highlight the dish’s refreshing nature, lending itself to a slightly sweeter yet equally complementary palate. 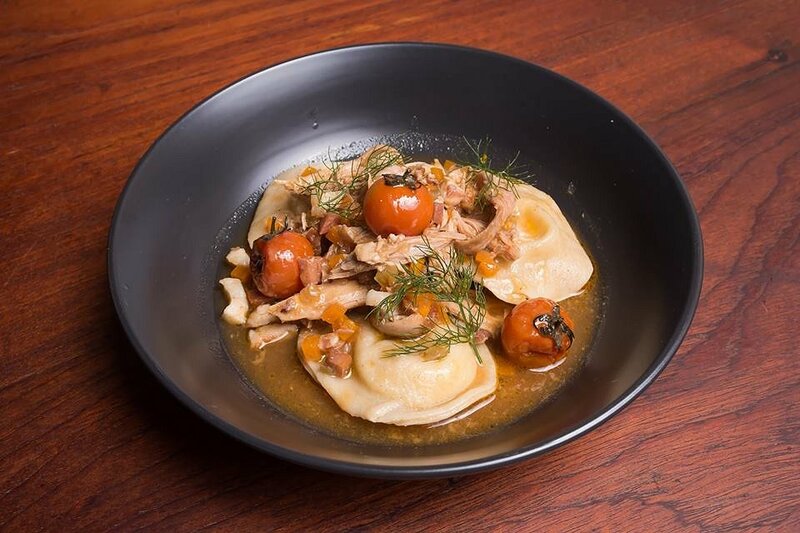 This divine potato filled ravioli served in a decadent sauce of rabbit, pancetta and tomato was a welcome contrast to the refreshingly light entree. Cooked to perfection, these al dente vessels of silky goodness were a delightful pairing for the rich rabbit sauce and smoked onion puree. Such intensity of flavour was enhanced by its pairing with two Sangiovese reds, the first of which being the Brunello di Montalcino Riserva Vigna Ferrovia; made from exceptional vintages and released at six years of age, this rarity is characterised by its berry fruit and chocolate notes, a great compliment for this exquisite dish. The Coates Clare Valley Sangiovese 2009 was an equally fitting accompaniment, providing a slightly oaky yet similarly soft palate. 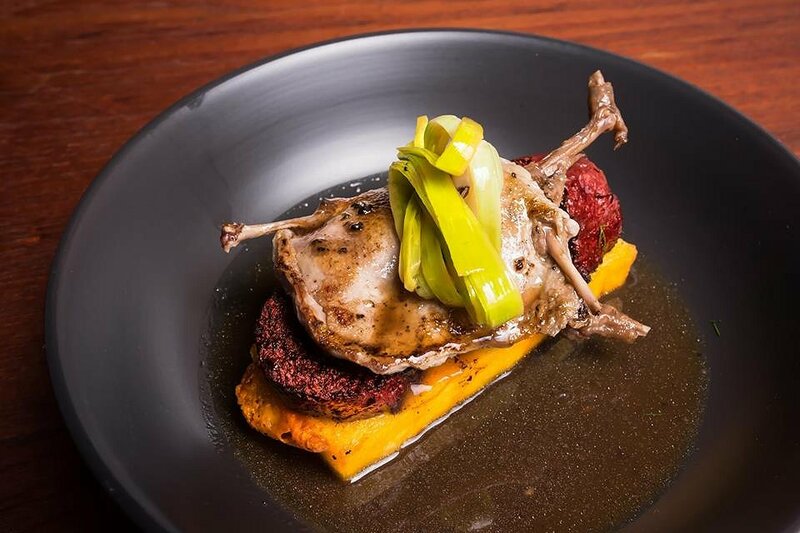 Served atop a bed of buttery, parmesan infused polenta was a combination of quail, house made blood sausage, leek and truffles. Tender and well-seasoned, the quail was cooked to precision and well balanced by the intense richness of the sausage. The leek and truffle added an aromatic earthiness, which was only enhanced by their pairing with two reds of the Nebbiolo grape variety. The Aldo Conterno ’Cicala’ Barolo 2012 emitted refined notes of cherry and spice while Coates Adelaide Hills Nebbiolo was slightly more fruity; however, both were a fitting accompaniment to this spectacular dish. 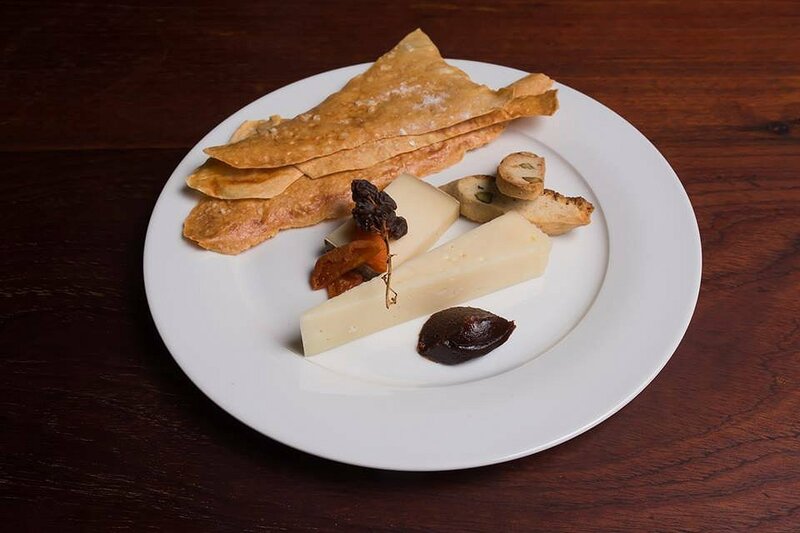 For dessert, guests were provided with a cheese plate comprising of aged pecorino, quince paste, almond bread and dried fruits alongside crisp house made crackers. This simple yet delicious dish was a marriage of mild flavours and creamy textures which allowed the dessert wines to really shine. Unlike the previous wine pairings, these originate from two vastly different styles. The Isole e Olena Vin Santo 2007, made from grapes that are dried after picking and then matured for six years, complemented this savoury dish with its sweet notes of sultana and honey. On the other hand, the Coates Grand Tawny 2008 provided a similar sweetness but with a slightly deeper, more oaky palate. To finish, guests were provided with coffee and a selection of panforte and nougat, the ideal end to a rich feast of spectacular Italian cuisine. Stubbs’ well-executed menu showcased her exceptional skills while highlighting the unique characteristics of each featured wine; this wonderful afternoon of gourmet dining, idyllic views and great company did not disappoint!